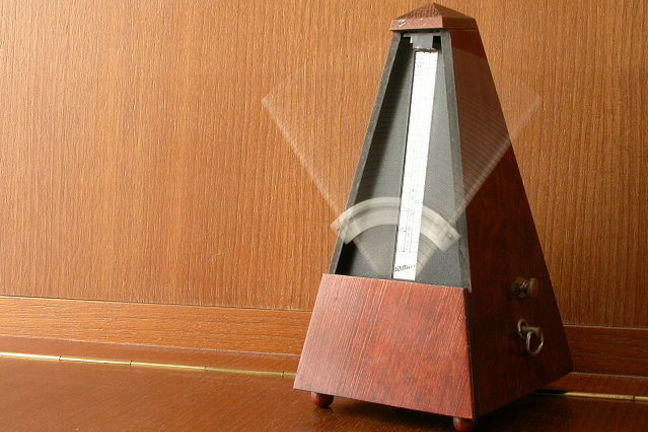 Have a look at this video of metronomes. (Tip: you can hold ctrl (or cmd for Mac) and then click the link (pink words) in order to open it in a new tab). When you have watched the video, move on to the next step.